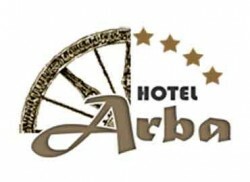 Arba Hotel is located in the modern part of the city of Samarkand, only a few minutes’ walk from the main historical sights. We offer our guests 31 comfortable rooms of different categories. The interior of the hotel is individually designed, using environmentally friendly materials and modern approaches in interior design. Our friendly and experienced staff is always happy to serve you during your stay at our hotel and make your stay unforgettable!